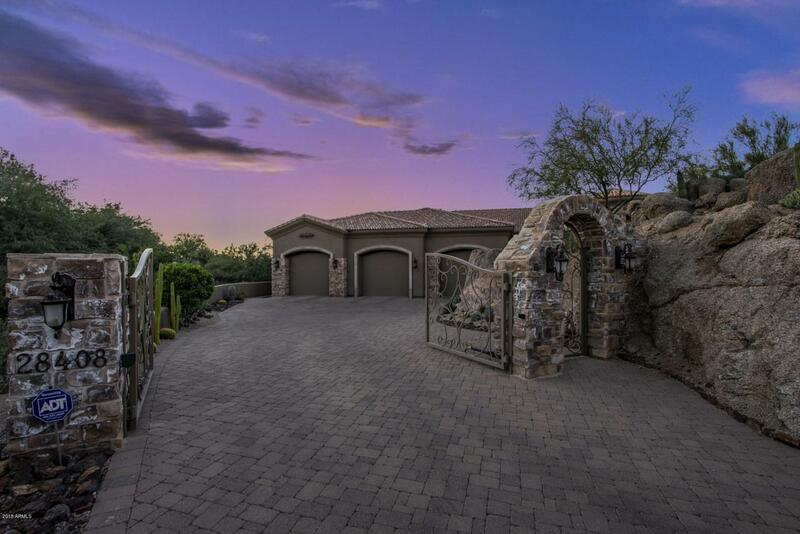 This spectacular privately gated custom residence sits on an elevated lot in the prestigious and quiet gated community of Pinnacle Canyon in Troon North. 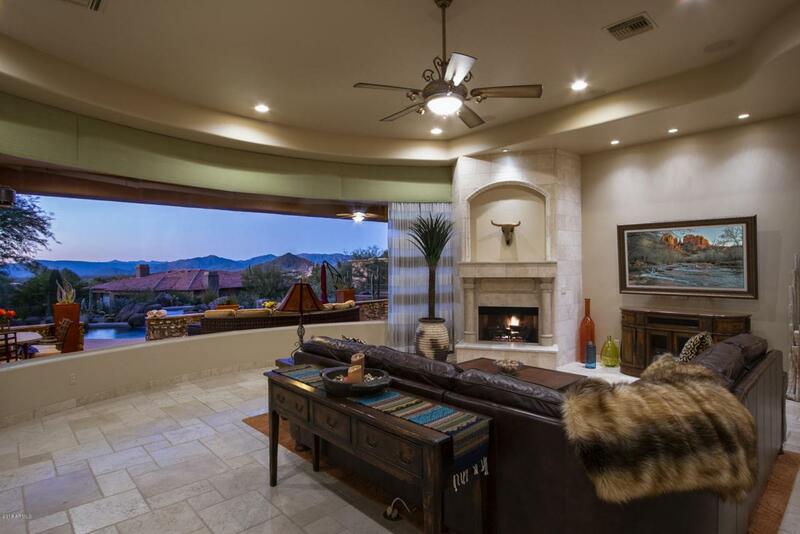 Perfect indoor/outdoor setting to enjoy the magnificent Arizona sunrises/sunsets and sweeping mountain views. The radial architecture and panoramic windows invite these views and light into the home making it feel even more bright and open. 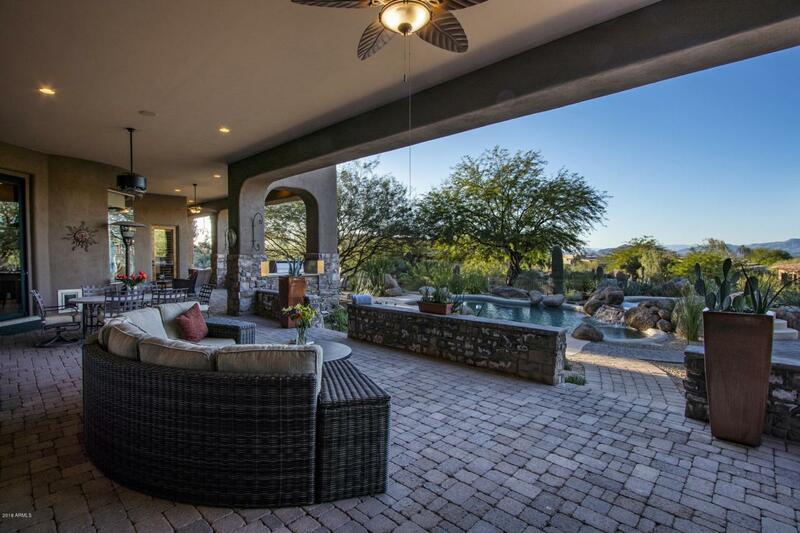 Terrific outdoor living areas include sprawling extended covered patio, pebble-tec pool with spa, rock water feature, exterior fireplace with sitting area and built-in BBQ. 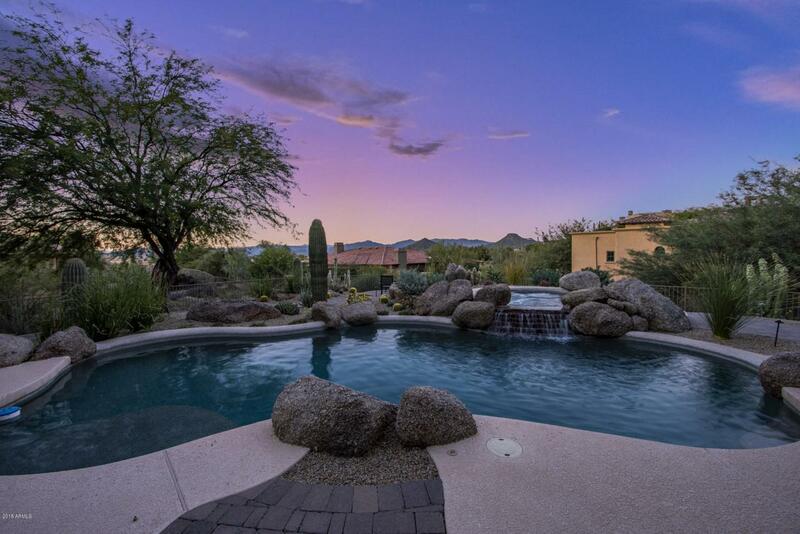 This exquisite home offers an open floor plan with 2 master suites on both sides, spacious guest room, 4 full bathrooms, office w/built in cabinets and closet (can be used as 4th Bedroom), formal dining room and a gourmet kitchen.